Editor's Note: Although this article was first published in 1999 it is still filled with timely information for parents trying to navigate the language issues that accompany internationally adopted children. Q: For many families who have adopted school-aged children, proper school placement and remediation services, if needed, are the most urgent issues for us. A: Academic placement, remediation, and supportive services for newly-arrived school-aged children should be different from those for children who were raised here since their infant and toddler years. But in any case, the decisions should always be highly individualized and based on a thorough consideration of many factors. In terms of academic placement of newly arrived school-age IA children, it has been my personal experience that placement according to "age-level" as is usually practiced with children from immigrant families in the USA, may not be appropriate for many post-institutionalized IA children. Academic pressure heaped on top of normal difficulties in acculturation, language acquisition, and often accompanied by health and neurological problems, may lead to tremendous frustration in a child and his/her new family. A "cumulative cognitive deficit" factor and an "academic readiness" factor should also be considered. It seems that over-placement, that is placing in too high a grade, is usually a more serious mistake that under-placement, that is placing in too low a grade. It is never too late to make changes, to reconsider, and to try another option if you feel that you made a mistake with a school and grade placement. Speaking about appropriate school placement or eligibility for special remedial and supportive (e.g. speech, occupational, or physical therapy) services, I have to stress that every decision should always take into consideration not only your child's current (actual) status, but his/her past as well: not many orphanage-raised children were able to escape institutionalization unscathed, and their particular vulnerability to stress and pressure must be taken into consideration. Please convey this message to any professional who does an evaluation of your child. Q: What about the bilingual education and/or related services that are requested by some adoptive parents and are in fact available in NY City? Also, what do you think of the ESL (English as a Second Language) programs? A: In my opinion, bilingual education and bilingual related services are a wrong placement decision. You see, an adopted child lives in a monolingual English-speaking family, not in a bilingual immigrant family. Her native language has no functional meaning or personal sense for her, while she needs functional English for survival. Her native language will not be sustained by her family, but the same family will provide her with patterns of proper English. Bilingual education or services (for only part of the day and without family support) will possibly lead to communication confusion and "mixed" verbal conditioning. Bilingual education in this case would be a waste of time and might even impede the child's learning of English. On the other hand, English as a Second Language (ESL) instruction has proved to be a valuable resource for school-age newly arrived IA children. ESL is a mandatory program in NYS for every non-English speaking child entering the school system. IA children are automatically eligible for this service, although they do not fit into the typical ESL student's profile: English is, indeed, their home language! ESL instruction for these students should be individualized and modified accordingly with a possibility of enrichment at home and more active parental involvement in the process of new language learning. The quality of instruction in ESL varies significantly from school to school, but most of them do take into consideration both social (communication) and academic (cognitive) language. By and large, ESL means extra help and extra support so adoptive parents should take advantage of it. You have to realize, however, that ESL is not a special (that is, remedial) service. It is an academic program. It should not be used as a substitute for speech and language services. In other words, your child may have ESL along with needed remedial services. Q: It was my personal experience as well as information gathered from other FRUA parents, that very often our children require speech and language therapy regardless of the age at which they were adopted. A: You are right. Delays in language development are the most common diagnosis found in medical records of children adopted from Russian orphanages. In a book "Psychological Development of Children in Orphanages" published in Moscow in 1991 by a group of Russian psychologists, the authors describe as the common picture for many children living in orphanages at the age of 3 and 4 their incomprehensible speech with only a few phrases used, very limited vocabulary, poor receptive language skills, and slowness in learning new words. In one study described in the book, it was found that about 60% of all 3 year-olds in an orphanage for pre-schoolers (Babies Home) had practically no expressive language; a year later, only 14% used two-words sentences. Our colleagues in Russia suggested that this situation is not only due to a severe lack of sufficient quality and quantity of verbal interaction between a child and an adult during the so-called "critical periods of development" (from birth to 5), but mostly because of the very context of the communication. Mutual object-related activity and cognitive learning activities are very limited, having a detrimental impact on language emerging as a means of communication, thinking, and regulation of behavior. In light of the latest finding in neuroscience, it is understood that children in orphanages are likely to have a certain neurological predisposition for language-related problems due to the lack of specific social/cultural mediation normally provided by the grown-ups. The rate of early learning - literally the first months and years of life - determines the child's level of language functioning for many years to come: what has not been mastered within certain developmental ranges may not be totally compensated for in spite of heroic efforts in the future. Q: It is amazing how quick children pick up a new language! But if a child is having a problem in learning English, does this mean that the child is "slow"? A: Newly adopted post-institutionalized school-aged children have to adjust to life in a family vs. life in an institution, to a new physical and technological environment, to a new cultural and social milieu, and to a new school. But they have to start with English language acquisition, because the whole process of adjustment to a new life is mediated by the new language. And this is an arduous task for many of them who may have a wide range of speech and language deficits in their native language. All children eventually -some faster than others - learn to communicate in the English language. Developmental and personality factors, as well as the degree of their native language proficiency may influence the dynamic of their mastery of the English language. I have to stress that the rate of English language acquisition is not a direct indicator of general cognitive abilities: language learning is a very complex process where intellectual aptitude is only one of many contributing factors, and by no means is the process of new language acquisition a direct reflection of intelligence. Language does influence behavior: a 7-year old child who just arrived three months ago and demonstrates limited English fluency may appear "delayed" and "slow" to her teachers and even to those professionals who tested her without knowledge of her native language. Nevertheless, her "apparent" developmental level of functioning may be a direct result of her language proficiency/cultural adjustment. Q: I heard from some parents that their children, adopted before reaching school age, still have problems with reading and other language-related subjects. Their Russian disappeared and their English is indistinguishable from their American-born peers. Is this really a language problems? A: It might be… And you are right, this is the experience of many adoptive parents. A child's conversational English is basically the same as in native speakers. However, her first grade (or often even kindergarten) teacher begins reporting that the child does not seem to understand the more complex reading stories, fails to follow multi-sequential instructions or comprehend conceptual or hypothetical questions. Her rate of learning reading and overall academic functioning starts falling behind most of her classmates. Tension may escalate to the point where the word "learning disability" may be heard. The child may be tested by a school psychologist or learning specialist and found to have basically normal intelligence. What is the problem? Unfortunately, school personnel don’t suggest often enough that this is a language issue, that is, the child's conversational proficiency in English is not enough to ensure her academic success. You see, there are two major language application: (1) social communication and (2) thinking (cognitive operation). These two sides, two aspects, two domains of language use are often referred to as Communicative Language Fluency (CLF) and Cognitive Language Mastery (CLM). Communicative Language Fluency (CLF) refers to language skills needed for social interaction in everyday communication within a practical context and includes basic skills in pronunciation, vocabulary, and grammar. This aspect of language seems to be acquired spontaneously with very little, if any, formal schooling. It is mostly oral language fluency needed for social interaction in everyday communication. Cognitive Language Mastery (CLM) refers to language as a tool of reasoning, a means of literacy, and a medium for academic learning. This language function emerges and becomes distinctive with formal schooling and through developing literacy skills. With CLF the linguistic message is coming within a flow of meaningful context, supported by a wide range of non-linguistic clues, such as situation, intonation, gestures, "shared meaning" between communicators, etc. In CLM (reading a text, understanding instructions) language has a very limited range of non-linguistic supports, and requires specific conceptual and semantic knowledge of the language itself. These two language functions are not isolated from each other and interact as they develop, enhancing or inhibiting each other. Developmentally basic CLF is formed earlier than CLM. Quality and quantity of early communicative experience in the child are crucial in her creating the foundation of CLM. Certain properties of CLM, such as grammar structures and lexicology patterns are simply embedded in the psychological makeup of children through numerous repetition when they were infants and toddlers, and their parents were talking to them or near them or reading to them, or through the TV, etc. Nothing is ever wasted: this information goes to a psychological storage vault and later is activated through the conscious efforts of school teachers and students themselves. In other words, native speakers are "predisposed" to cognitive language mastery through their earlier experiences with the communicative language. For those who were deprived of this input in their early years this is a much more difficult process. Research and practice show that for children it is relatively easy to master the conversational proficiency in a new language. However, it is not enough to ensure a cognitive-academic mastery of the same language. Chances are that the children you mentioned are struggling with a particular aspect of language acquisition and need help in this respect. From the school's perspective, the most "at-risk" (cognitive language-wise) group is children between the ages of 4 to 8. Children adopted before the age of 4 have at least several years of development mediated by their new language before they enter school. Children from Russian orphanages older than 8 have learned to read and write in their native language and they have an opportunity to transfer some of their cognitive language skills into their new language. Also, cognitive language problems in children older than 8 are relatively easy to identify and remediation strategies are likely to be straightforward. Those between 4 and 8 really fall between the cracks. Their language problems are difficult to pinpoint because they are disguised by the dynamic of second language acquisition. which is mostly in communication, not in the cognitive area. Adoptive parents are usually amazed and pleased by their children's progress in mastering basic communication skills and they see no apparent reason for any extra language remediation. The problem is that when it becomes apparent, it may require "heroic efforts" and may result in a lesser degree of success. Q: To what extent is language acquisition in school-age IA children similar to what is known about children from Russian immigrant families? In other words, to what extent is this a bilingual issue? A: A common understanding of bilingualism includes functional use of more than one language within a developmentally appropriate and socially expected range of language skills. In this respect the majority of adopted children do not belong to a bilingual category at all. Or they may be bilingual for only a short period of time. They are monolingual at arrival (Russian only) and after several months they are monolingual again, this time English only. There are exceptions with older adoptees (who may be literate in their native language), particularly in twins and sibling groups, but only a few. One of the most shocking discoveries I made for myself working with IA children was the swiftness of their losing their mother tongue and their negative emotional reactions to their native language. It is my experience that a child between age 4 and 8 will lose the bulk of her expressive native language within the first 3 to 6 months in this country. Her receptive language for the purpose of simple communication may last longer, but eventually all functional use will disappear within the year if not in a few months With older and, in particular, literate subjects the language may be preserved longer, but still we are talking about only months: the pace of losing native language in IA children is truly amazing. Q: Some adoptive parents are concerned regarding certain behaviors of their children. One mother complained that her 7-year-old daughter is overly affectionate to strangers with no sense of appropriate interaction. Another parent is upset because her 8-year old son is constantly involved in fighting in school. Hyperactivity, temper tantrums, attention demanding behavior, aggressiveness toward classmates - these are complaints from school regarding some of our children. Are those behavior problems related to our children's past? A: It is too early to suggest that emotional/behavioral problems are present in post-institutionalized children in a greater proportion than in their family-raised peers. First, we have to realize what constitutes "normal" behavior in an orphanage and what is "normal" (that is, expected and common) post-institutionalized behavior? It is only natural for newly-arrived IA children in the process of a new language acquisition to exhibit negative emotional and behavioral patterns clearly related to communication problems such as frustration, anger, acting out, temper tantrums, etc. Beyond this, however, behavior problems in school may stem from a specific mode of development produced by the neurological impairments or from previous experiences, e.g. learned behaviors that could be adaptive and effective in institutions but become maladaptive and counter-productive in the new school and family environment. For example, many symptoms of the syndrome known in this country as "Reactive Attachment Disorder" are described in the book I mentioned earlier as "survival skills" and "routine daily interaction" typical for an orphanage. In terms of their behavior, IA school-aged children face the task of transforming their orphanage survival skills into functional family/school relationships. They have to learn new patterns of behavior and new social skills with both adults and peers. For example, a 10-year-old child whom I evaluated recently expressed confusion regarding the fact that neither in his new family nor in his new school did adults beat children who misbehaved. For him to follow instructions from adults who do not hit children was a great difference from what used to happen in an orphanage. Therefore, he kept testing the limits to see when he would get hit. In IA post-institutionalized children, adjustment to a new life often revolves around the issue of self-regulation of behavior and emotions. One of the characteristics of the "typical" Russian orphanage is a peculiar combination of a rigid routine with ongoing uncontrollable changes in the environment. The constant turnover of caregivers, changes of the domicile/school arrangements, etc. lead to a tremendous sense of instability and lack of control. On the other hand, the everyday routine is rigidly fixed with daily emotional monotony, virtually no personal choices, no private possession of toys, clothes, etc., and, as a result, with a minimal need for behavioral self-regulation. Emotional "immaturity" (that is, a lack of emotional self-regulation at the level expected by a certain developmental stage) is a distinct "marker" of a post-institutionalized child. It is truly an orphanage-induced distorted pattern of "emotional processing" with the question being how deeply it has been internalized by IA children and if it will it be remedied naturally or needs special educational efforts or even counseling/psychotherapy. Q: All newly-adopted children go through a medical check-up on arrival for possible medical rehabilitation or prevention. It is my understanding that a psychoeducational and/or speech/language assessment is the exception rather than the rule. Too often school districts assume a "wait-and-see" attitude rejecting a request for an evaluation in order "to wait until she learns enough English". Is it true that that timely evaluation is the key factor in effective remediation? A: Absolutely. There are two issues here: the timeliness of the evaluation and the methods of evaluation. An assessment should be done by a bilingual professional (a psychologist, speech pathologist, etc.). The evaluation in the native language should be done within the first three months of arrival: after this time the "subtractive" process will take its toll and the child's native language will be her weaker language modality. Assessment in the English language should take place only when this language becomes, beyond a reasonable doubt, the dominant (the stronger) means not only of communication, but of reasoning as well (cognitive language). Only a bilingual professional is able to determine the degree of the language mastery and "rule out" the "bilingual issue". Choosing appropriate tools and procedures in psychological, developmental, or language evaluation of children from another country and with an "atypical" background presents a formidable task. There is an old British joke about a policeman who observed a man searching for something under the light pole. When asked what he was doing, the man said he lost his wallet about two blocks away. In response to a further question on why he was looking here, he said that it was the only lighted area in the neighborhood. Similar to this wise Englishman, very often school personnel do not look for adequate and optimal procedures and instruments in assessing IA students, but for those tests that are available, appear easy to use, and yield a numerical score. This is a totally unacceptable practice with IA children. At this point I would like to refer you to my article addressed to school psychologists where I specifically discussed instruments and procedures most effective and appropriate for IA children. ("NAVIGATING UNCHARTED WATERS: SCHOOL PSYCHOLOGISTS WORKING WITH INTERNATIONALLY ADOPTED POST-INSTITUTIONALIZED CHILDREN". Published in: "COMMUNIQUE" (a publication of National Association of School Psychologists) September (Part l) Vol. 27, #1, pp.6,9 and October (Part ll) Vol. 27, #2, pp.20-23). Q: I read this article. You suggested "dynamic assessment" as a complement procedure to traditional standardized tests. But what is this and why do you recommend it? A: "Dynamic assessment" is an interactive procedure that follows a test-intervene-retest format, focuses on learning processes and cognitive modifiability of a child, and provides the possibility of a direct linkage between assessment and intervention. You see, we do not need to compare the current level of IA children’s intellectual functioning with their peers in this country - we know that they are different due to their unique backgrounds. We do know that they are delayed in regard to many developmental skills and accomplishments. We do know that their specific knowledge base is different from the one acquired by their peers in American schools. Our diagnostic questions should be about the psychological readiness of a child for a certain level of educational instructions, her cognitive modifiability, her responsiveness to an adult's mediation, her amenability to guidance. Is this not what we need to know for effective remediation? Is this not the ultimate goal of our assessment? Q: What strategies and resources would you recommend to our parents for remediation of language-related and cognitive problems in adopted children? A: I believe that remediation should always be considered in the family-community-school context. All remediation ought to start with proper evaluations: medical, psychoeducational, speech/language. Proper means it is done at the right time and by the right professionals. There is no "one-size-fits-all" recommendation: each case is individual, but generally speaking, your chances for significant improvement in a child's overall functioning are higher if you start early enough and have the right methodology/therapy. In schools, ESL, speech-and-language therapy, teacher-consultant and special education services and programs are available for remediation. Speech and language therapy is accessible in all school districts. I am personally convinced that many children from Russian orphanages from ages 4 and up do need language remediation and sometimes they need specific speech therapy due to poor articulation. The problem is how to obtain this service, that is, how to prove your child's eligibility for it. In families, structured and organized remediation efforts by parents should be based on a certain methodology and guided by knowledgeable and supportive professionals. You see, in order to help your child effectively at home, you must have time, motivation, skills, patience, and - very important - the right methods. Whether you do it yourself, or you hire a tutor, the question of finding the right methods to help your child at home is the crucial one. There are dozens of self-help books and parent-oriented programs out there. My point is that you must have a certain, structured program in order to provide your child with effective systematic remediation in cognitive and language areas. Any remediational/educational plan needs a conceptual base to give it internal consistency, that is, to be sure that the different parts and levels of a curriculum are not working at cross purposes. I would like to give you one example of such a program. The title of the program is "Bright Start" (Haywood, 1992) and this is a cognitive/language curriculum for pre-schoolers, including those who, on the basis of early childhood deprivation, are at high risk of learning failure in the primary grades. The program is appropriate for adopted children from age 4 up to 8-9 and is, indeed, well equipped to help them. "Bright Start" focuses on language for precognitive, cognitive, and metacognitive operations that are pre-requisites for learning in the primary grades. There are many useful features in this program, with one of them being that it is designed for teachers and parents to work together simultaneously. You may ask your ESL and/or regular teacher to include elements of this program in their curriculum, and do follow-up at home. Also it is closely connected with activities of daily living and takes advantage of your ordinary daily experiences. The most attractive feature is a consistent, systematic approach within a broad cognitive-developmental context, not language in isolation. The program consists of seven units, each designed to address a fundamental aspect of the cognitive language functioning of preschool children. The units may be taught in one-to-one situations or in small groups of children interacting with an adult (a parent, a tutor, or a teacher in school), for a period of about 20 to 40 minutes each day. Does this program do wonders? No, but with proper use and hard work it can make a difference in your child's readiness for school. Is it good for everybody? Probably not, but ordinary parents and ordinary children could benefit from it. It is a tool to help your child to become a more effective academic and social learner. Let me conclude our conversation with the following words. It is considered common knowledge, that children who have spent any appreciable time in institutional care will have developmental delays and/or psychological problems. 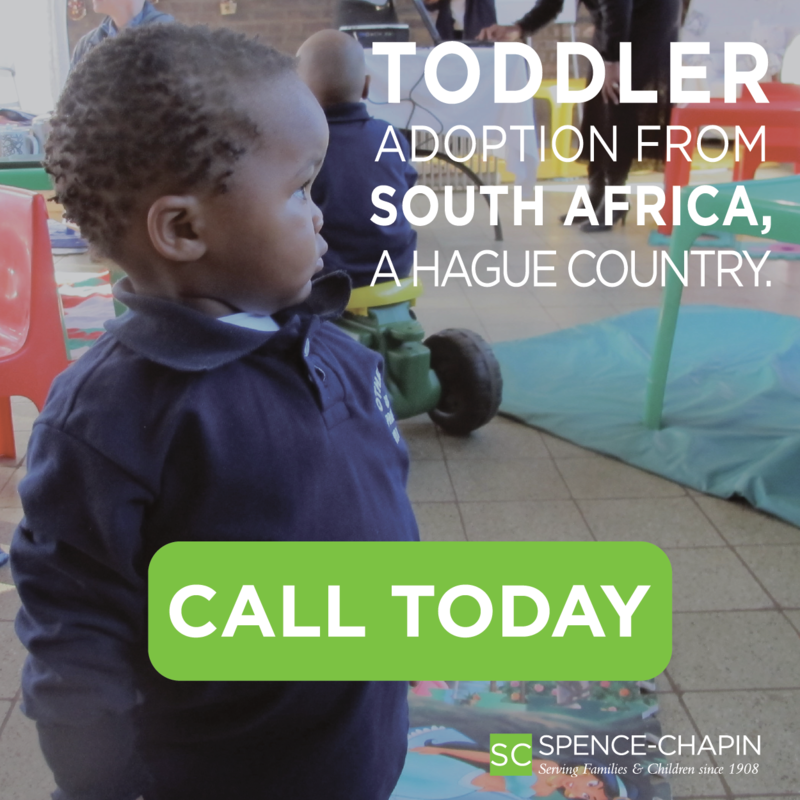 The issue of tremendous practical significance is how to identify and effectively remedy or compensate in a timely manner for the consequences of an orphanage life or previous family neglect. Close cooperation between adoptive parents and professionals is needed to achieve these goals. FRUA efforts in this respect deserve public appreciation.